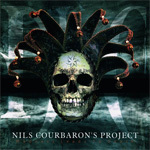 Nils Courbaron is young and aspiring French guitarist delivering his first instrumental EP Madness Leads to Death. 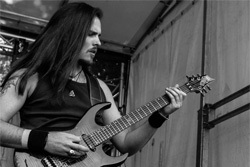 When not working on solo material Courbaron plays for several French metal bands including T.A.N.K. (modern melodic death) and Lyr Drowning (progressive death metal). He's been a music and guitar enthusiast since he was thirteen, with a penchant for heavy metal and the shredding neo-classical style. Nils Courbaron:: with weapon of choice. That's basically what you get on this EP. Yet, while he rips up the fret board with ease, Nils has a flair for the dramatic as well. This short EP begins with an orchestral intro that leads the quite bombastic fiery flying solo of The Flying Circus. You get more of this with the title track, but within there's some more moments of subtly and less tearing around the fret board. The other two songs, Purgatoria and Bar Er Maru, give a hint to one of Courbaron's other interests, namely, flamenco music. The former begins with a taste of this only to move into a rather heavy piece with more of his guitar wizardry. The latter is entirely acoustic, sounding like a mixture of classical and flamenco guitar. It might be the best piece here. Along the way Nils is helped by several friends adding piano to bass to additional guitar solos. Bottom line: Courbaron has some true talent and passion to keep developing his already exceptional guitar skills. Recommended. 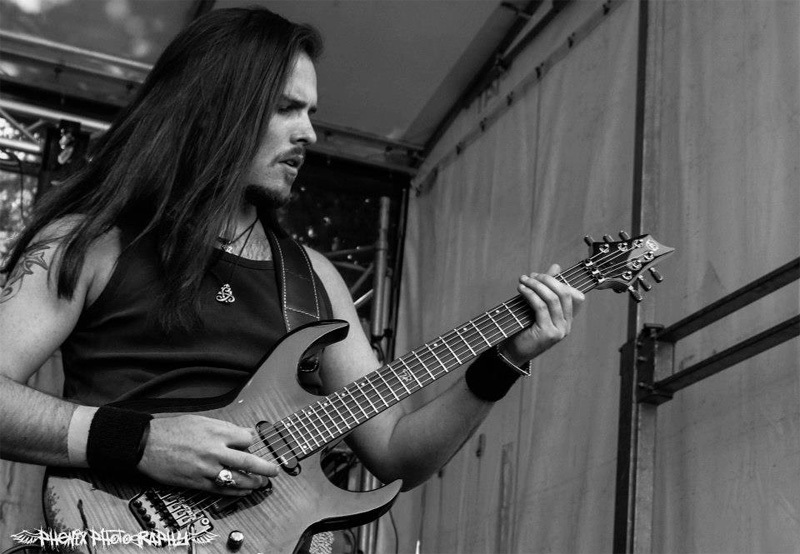 Madness Leads to Death demonstrates that Nils Courbaron has some true talent and passion to keep developing his already exceptional guitar skills.